Electromyography (EMG) signal obtained from muscles need advance methods for detection, processing and classification. The purpose of this paper is to analyze muscle fatigue from EMG signals. At the beginning, 15 subjects will answer a set of questionnaires. The score of the questionnaires will be calculated and the score will determine if the driver is fatigued or mild fatigue or fatigue based on their driving habit. Next, EMG signals will be collected by placing two surface electrodes on the Brachioradialis muscle located at the forearm while driving Need For Speed (NFS) game. A simulation set of steering and pedals will be controlled during the driving game. The drivers drive for two hours and the EMG signal will be collected during they are driving. The output signals will be pre-processed to remove any noise in the signal. After that, the data is normalized between value 0 to 1 and the signal is analyzed using frequency analysis and time analysis. Mean and variance will be calculated for time domain analysis and graph of mean versus variance is plotted. In frequency domain analysis, Power Spectral Density (PSD) is extracted from the peak frequency of PSD in each signal is obtained. All results will be divided into three classes: non-fatigue, mild-fatigue and fatigue. Based on results obtained in time domain, average normalized mean (non-fatigue: 0.5004), (mild-fatigue: 0.497) and (fatigue: 0.494). While, for frequency domain analysis, average peak frequency (non-fatigue: 13.379 Hz), (mild-fatigue: 11.969 Hz) and (fatigue: 12.782 Hz). 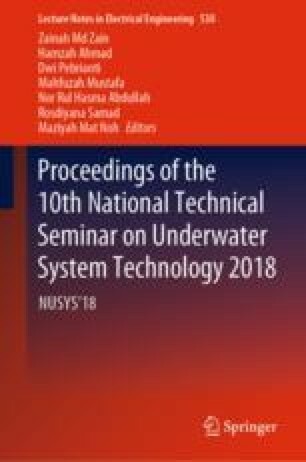 This research was supported by a Grant at the Universiti Malaysia Pahang (RDU160391).